I would have thought knowing they were inside me would be the worst part, but it’s not – the mind adapts to such things; it’s feeling their movements, their scurrying back and forth beneath my skin that is the most brutal part. I don’t know how they were able to gestate inside me; they seem maddened at not being able to get out. Their constant frenzy keeps me up at night – I’m getting no sleep; it keeps me sick throughout the day – nourishment something I’ve not known in weeks; a prisoner in my own home – I’m terrified to go into the light, I look the part of a monster – a filth ridden hag. God, the cacophony of their humped bodies sliding between the soft tissue of my brain and the hardness of my skull is deafening. I must find a way to get them out! Nails gouging at myself once more, ripping chunks of skin from my own body, sending fresh streams of puss and blood running down my face, past my eyes – my mind shuts down and I feel no more. It twitched! I know I saw it twitch, I didn’t imagine it. Frozen in fear, I stare wide eyed at the collapsed carcass of the thing on my pillow, hoping it was my imagination. It twitches again, not my imagination. I leap up, tangled in my own covers, screaming wildly. It still lies there making a feeble attempt to move, I think it’s dying. I feel a sloshing in my head. I moved too fast, screamed too loud, they are scuttling insanely about inside my skull. I retch, and retch again. Vomiting up more, I realize that they are no longer only in my head but have found a way to travel into my throat! The thought makes me retch yet again. They are agitated by my convulsing; I can feel their vibrating urgency to quell their host. Oh God, please get them out of me! They are larger now, no longer simply sliding through the minute fissures of my head. I feel a piercing pain with each stab of their clawed legs as they dig in and they drag themselves forward. I can barely inhale for the number of them clinging to the walls of my throat. Coughing blood and eight legged bodies, I feel them holding on with their barbed legs so as not to get ejected with each contraction of my body. Swallow or vomit my only choices, I grab a bottle of water from my nightstand and begin to gulp the warm water. I can feel it sluicing over their swollen bodies like lesions grown from my esophagus, not just the intruders that they are. I vomit more, pulling one or two free to expel them onto the bed. 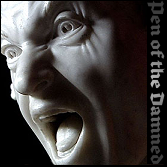 The others grasp tighter, puncturing the delicate pink tissue of my already mutilated gullet. These seem different, more frantic as they dance about. Their color more flush, darker – their bodies harder in form. Clearly blind, they dart in sporadic circles, slowly growing more sluggish, more translucent, collapsing like the first one I saw. It seems they die quickly, they don’t seem to survive long outside my body. Crawling again to the bathroom and scaling the sink, I open a drawer and reach for my scissors intending to cut away a chunk of hair to more easily see inside my ear. As I grab a handful of hair, I realize that the clump I’m clutching is slowly pulling away from my scalp with a sickening sucking noise. Tendrils of a thick sticky substance adhere to the skin for a brief moment before slopping to the side of my face. The exposed tissue is raw, puss covered and stinging – the small globules of fatty tissue clinging in place. A sharp nip warns me to go no further; I drop the tweezers and my other hand slips off the slickened sink as I crash to the tile floor. The coolness of the stone a brief reprieve from the molten pain I feel in my head and throat. The more aware I become, the more I come to realize that they are not all seeking to be dormant – not all moving toward the cool floor. The smaller ones still crawl through me, using their clawed legs to move in and around my organs. My body spasms from the pain, and I feel the frenzy of awakening. They nip in vague warning for me not to move, poke at my tender innards with their pincers and jab with hardened nails. Exhausted from not eating, from the loss of blood, and the horror of knowing my body is their only source of food, I reach out towards the edge of the bathtub. As my hand closes around it, I feel their bodies crunching between skin, tendon and bone. They bite and scrabble frantically to escape; I can’t help but feel a smug bit of satisfaction at this. Others awaken and join the fray, biting and stabbing with abandon at their host, my body. But I refuse to be coerced, I have found strength in their terror. I will drag myself to the bathtub – its cool surround offering a coffin of reprieve. Pressure, there is so much pressure building behind my eyes. My head feels like it’s going to burst. So many of them have returned to my skull – I feel them packed in there like the woolen stuffing of a doll. For some reason this thought makes me laugh. Stuffed like a doll I am with crawling monsters gnawing away at my insides. More laughter, hysterical this time. I hear it as if from a distance, but know it is emanating from my own cracked and swollen lips, my own cracked and damaged mind. The laughter gives me energy, makes them crazy. I can feel their panicked agitation escalate with the flow of what little blood is left in me. Heaving the rest of my body into the tub, my swollen and infested carcass is wracked with uncontrollable convulsions. A stream of small creatures emerge with the spittle that I cough up. They scurry for the darkness of the drain. Lifting one foot, I manage to flip the hot water tap on. Immediately they begin to scale my body and climb my flesh to escape the torrid flow. Twisting, contorting and clawing my way around, I manage to turn my body so that my head is closer to the near boiling stream. It is excruciating, gloriously agonizing. I rip handfuls of my own hair from my head, and stuff them into the drain effectively clogging it to trap the scalding water in the basin with me – with them! I hope you have enjoyed my little tale for Coffin Hop 2012. This was be a story told day by day – on this final day, encapsulated into one post. In honor of the tour, I’ll be giving away a goodie per day to one random recipient who leaves a comment on each post. 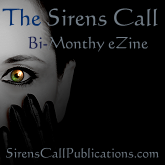 My prizes will come in the form of e-books, print copies, eZines, and an unending subscription to The Sirens Call eZine as well. (plus there may be a rubber duckie or two) All prizes will be randomly selected on November 1st, as per the Coffin Hop guidelines found here on my Coffin Hop 2012 page, along with a list of the other bloggers. 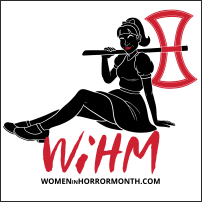 Please don’t forget to visit the Coffin Hop Blog for news, updates, delirious ramblings, and magnificent posts from the other bloggers as well! Eyes that sparkle and shine in the darkest recesses of the mind! 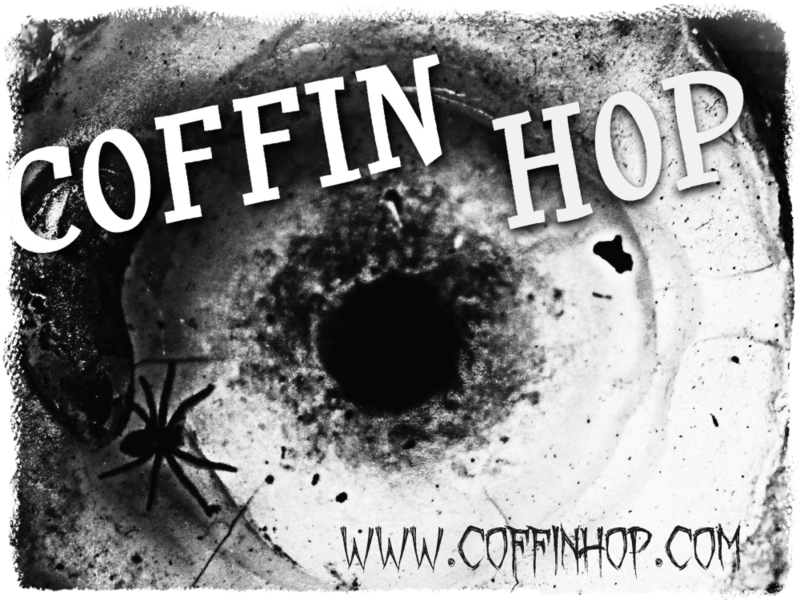 Come with me over the next week, as I spin my tale for Coffin Hop 2012. This will be a story told day by day – on the final day, encapsulated into one post. Swallow or vomit my only choices, I grab a bottle of water from my nightstand and begin to gulp the warm water. I can feel it sluicing over their swollen bodies like lesions grown from my esophagus, not just the intruders that they are. I vomit more, pulling one or two free to expel them onto the bed. The others grasp tighter, puncturing the delicate pink tissue of my already mutilated gullet. These seem different, more frantic as they dance about on the bed. Their color more flush, darker – their bodies harder in form. Clearly blind, they dart in sporadic circles, slowly growing more sluggish, more translucent, collapsing like the first one I saw. The pounding in my head is beyond bearable, the heaving of my starved body uncontrollable; afraid to breathe yet terrified I won’t, panic begins to set in as my body spasms of its own volition.